The habit of drinking milk first became popular 10,000 years ago, when the first animals were domesticated, initially in Afghanistan and Iran, and later in Turkey and Africa. Cows first arrived in the United States in the 1600s. The most precious kind of milk is mother’s milk. This nourishes new-born babies until they are old enough to be weaned onto other foods. The first artificial milks arrived in the mid 1800s: baby formulas were invented by Henry Nestlè. Cows produce 90% of the world’s milk needs. Each cow provides an average of 90 glasses of milk a day, or over 200,000 glasses over the course of its lifetime. Working by hand, a farmer can milk around 6 cows an hour. From cheeses, both fresh and mature, to yoghurt, cream, butter, and ice cream. Dairy products come in a wide variety of forms, and are produced the world over, with their names and recipes changing from country to country. They all have the same characteristic in common: they’re tasty and very wholesome. Some theories say that when you have a cold you shouldn’t drink milk or consume dairy products, as doing so will increase the production of mucus. However, the exact opposite advice is also often given: when you’re suffering from congestion, drink a nice glass of warm milk. Everyone, young and old, loves it: flavored and sweetened milk, whether strawberry-colored or with added chocolate. It’s impossible to resist – but watch out for those calories. There is a wide variety of milk-producing animals in the world, from goat and sheep’s milk to camels and other dromedaries, via ape, yak, water buffalo, reindeer and horses. There are even vegetarian milks made from coconut, almond, hemp and soy. Natural sugars are best for accompanying milk, and pairing the two together has even inspired many artists: Milk and Honey was, for example, the name of an album by John Lennon. Milk is the most important ingredient in hand-made ice cream, making up around 60% of the finished product. An English ice cream maker has even produced a variety made with human breast milk. The ingredient was confiscated after only a few days, however. Milk is good for martial arts champions too: the words of the ‘new Bruce Lee’, the martial arts expert and actor Jet Li, who in China is the face of a publicity campaign designed to boost milk consumption. In Stanley Kubrick’s masterpiece A Clockwork Orange, the ‘droogs’ meet up at the Korova Milk Bar, where they go to drink ‘milk-plus’ - a mixture of milk and mescaline. Lactose, the form of sugar found in milk, cannot always be easily dealt with by the stomach: those who suffer from lactose intolerance can, however, drink lactose-free milk, which is lighter and easier to digest. The Milky Way is the galaxy which our solar system forms a part of. Legend has it that it was created by drops of milk from the breast ofHera, the wife of Zeus, as she breast fed Hercules. It’s thanks to Louis Pasteur, the 19th century French biologist, that the milk we drink today contains little or no bacteria. He initially applied his heating technique, known as pasteurization, to beer. The process is still used today. The Queen Elizabeth II of England each day drinks milk from cows raised on her own Windsor estate. When her grandchildren William and Harry went to Eton, the famous public school, she instructed the estate manager to send milk from the Royal cows every day for the Prince’s breakfasts. Raw milk is milk that has not undergone any form of treatment, and which is drunk fresh soon after being produced. Richer in protein, it is the subject of a debate on food safety. In many countries around the world, you can buy raw milk from street vendors. From birth to old age, there’s no better recipe for a good night’s sleep: a nice glass of warm milk, maybe with honey or sugar, is a sweet, nutritious kind of lullaby: a true natural calmative. Drinking milk and eating yogurt and cheese is a great way to protect that perfect smile. 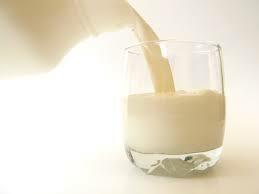 Milk reduces the level of acidity in the mouth, combats plaque formation and reduces the risk of cavities. Ultra High Temperature treatment is the name of the method of sterilization used for milk. Liquid milk given UHT treatment is also often called long-life milk and, unlike fresh milk, it can be drunk up to 6 months after it was produced. Vitamins A, D, and B12, minerals such as potassium, calcium, phosphorus, zinc, magnesium, and also protein: milk is rich in nutrients essential for human health. The protagonist of The Big Lebowski, a film by the Cohen brothers, is very fond of milk: but he only ever drinks is as part of his favorite cocktail, the White Russian. Its recipe: 2 parts vodka, 1 partKahlua, milk or cream according to taste, and ice. Superheroes drink milk too. After Batman, the Fantastic Four, Superman and The Incredible Hulk, even Wolverine from the X-Menwas part of an American ad campaign aimed at convincing teenagers to drink more milk. This is a milk derivative, but which is easy to digest, and very tasty. The word comes from the Turkish verb yogurtmak, meaning to mix. You can make it at home too, and it forms the base of many do-it-yourself beauty masks. This theory has been the subject of debate for years, but various dermatological studies have shown that high consumption of milk is a cause of acne, and that it worsens the condition in people, above all the young, who already suffer from it.